I can remember times when I was really, really bored. I mean, really bored. But I don't think I've ever been so bored that I even considered checking a police scanner to get a description of somebody the police were looking for, and then dressing up like that person to see what would happen. Sure, it sounds like fun, and not at all dangerous, but I would probably just turn on the PlayStation instead. But maybe PlayStations are hard to come by in Redding, California. On November 16, police there were looking for a man who witnesses said was wearing khaki pants and a San Francisco 49ers sweatshirt and was one of two men trying to break into a local business. One of the men surrendered to police but the other ran off. Six more officers, a police dog and a helicopter were called in to search for the fleeing burglar. Spade is sitting next to an emergency radio scanner that is broadcasting details of a police pursuit. He looks bored. wearing khaki pants and a San Francisco 49ers sweatshirt. At first he is listening intently, but then a look spreads over his face that shows us an idea is forming. As his brow wrinkles, a special-effects window opens in it and through the window we can see gears turning, then a man cranking a Model T Ford, then John Malkovich turning to look at the camera, then a monkey riding a goat on a tightrope, then a light bulb turning on. 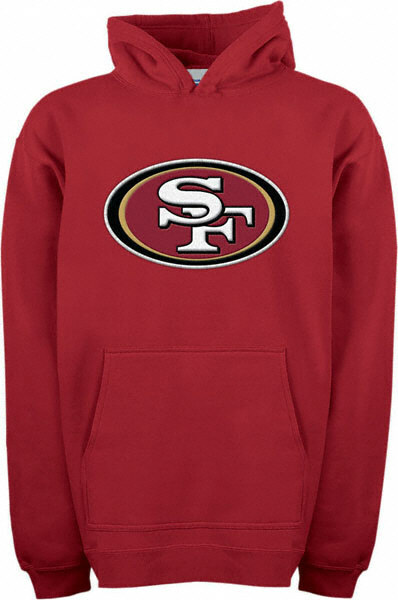 A pair of khaki pants lay across a chair, and behind them we can see a closet in which a 49ers sweatshirt is hanging. Spade is outside wearing khaki pants and a 49ers sweatshirt. A siren sounds in the distance. Police Sgt. Steve Moravec said that Spade had told him that he wondered if police would notice him if he went outdoors wearing the clothing of the suspect they were searching for. "We noticed him," Moravec said. They also arrested him and charged him with obstructing a police officer. Of course I have considered the possibility that Spade actually was the burglar and concocted this story because it was better than getting charged with burglary. But Moravec said that they did not think Spade was actually the suspect because "other than his clothing, he didn't fit the description of the suspect." That man, if he ever existed, was never found.